There's an exotic look to our Yuri collection. It's thanks to the colours mostly – this garden bench is bright in shades of blue. But the shape's unusual too, the concentric pattern is complemented with a dramatic curved shape. Yuri's appeal is obvious at first glance. But look closer and you'll see other deft design details: like the intricate weave, and the slim angled legs bringing a 60s feel. 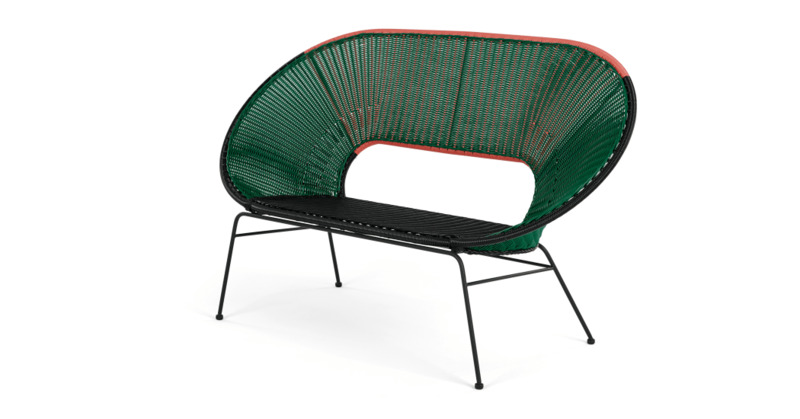 This bench, with space for two, adds instant energy to your outdoor space. Now your garden can reflect your personality too. Because of its design, you can leave this piece out all year round.